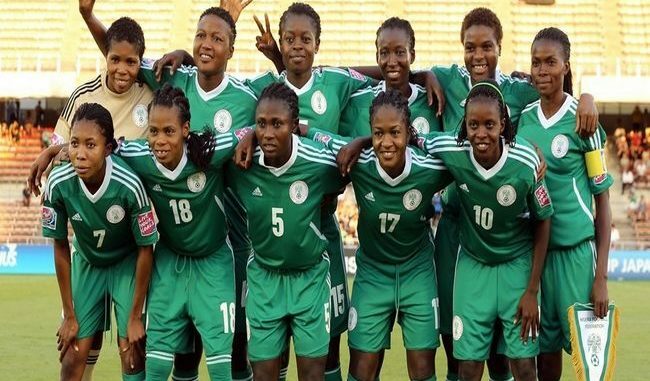 Despite not having a coach at the moment Nigeria’s women’s team will play France in a friendly on 4 April in Paris. The African Champions are still searching for a coach after American Randy Waldrum rejected the opportunity to lead the team last month. April’s match for the Super Falcons will be their first since winning the Women’s Africa Cup of Nations in December 2016. “We have signed a contract for a friendly match with the women’s national team of France for 4th April 2018 in Paris,” Nigeria Football Federation (NFF) president Amaju Pinnick confirmed in a statement. The match should prove a good test for the Super Falcons after France beat Ghana 8-0 in an October friendly. Pinnick also revealed that the NFF will announce a permanent manager in a ‘few weeks’ to succeed Florence Omagbemi in the role. “It is unfortunate that the coach (Randy Waldrum) we had contacted and approved for the Super Falcons’ job opted for something else before the contract was signed, but that is water under the bridge and we have moved on,” said Pinnick. The first challenge before the new manager will be the west African regional championship, the Wafu Women’s Cup, in Ivory Coast scheduled for 10-24 February. After that focus will switch to securing a qualifying spot at the 2018 Africa Women Cup of Nations in Ghana as they aim to retain their continental title. The biggest challenge will be to seal qualification for the 2019 Fifa Women’s World Cup in France – in what could be Nigeria’s eighth record appearance at the tournament.